When I was moving to Manchester for University at 18, the second week in, my mum came to visit and we went shopping at Selfridges Exchange square (my first shopping trip in Manchester and my first ever trip to Selfridges). We came across the teeny-tiny Tom Ford Private Blend counter and we discovered a range of fragrances neither of us had known before and I fell in love with Tom Ford Tobacco Vanille. At £115 a bottle, I was in no position to buy it back then but 2 years later when I started working for Clinique, I managed to bag it on Staff discount (when I left the brand I bought a good few bottles). Another 2, almost 3 years later, with Tobacco Vanille still being one of my all time favourite scents and already being a huge love of weird and woody Ouds; what comes flying through my door? 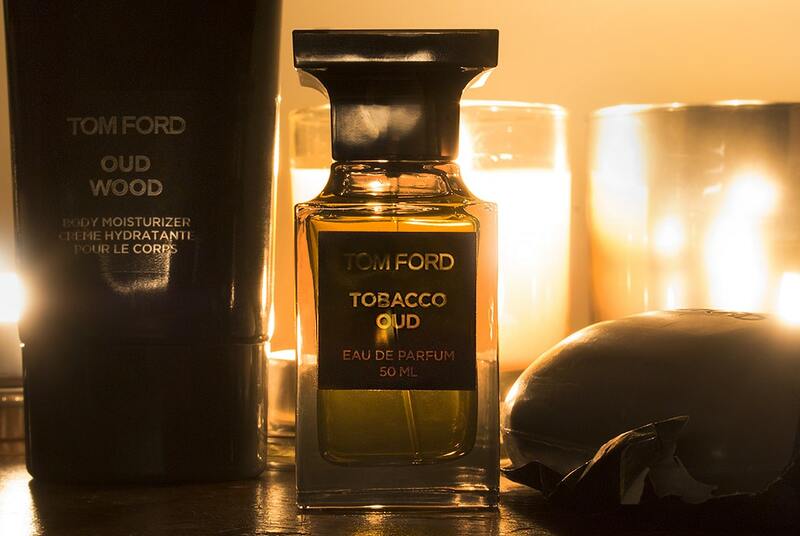 Tom Ford Tobacco Oud – D-licious. I have to agree with Mr. Kynaston on this one, there are definite similarities to Tom Ford Sahara Noir, except it’s slightly sweeter and a little more velvety/chocolatey. 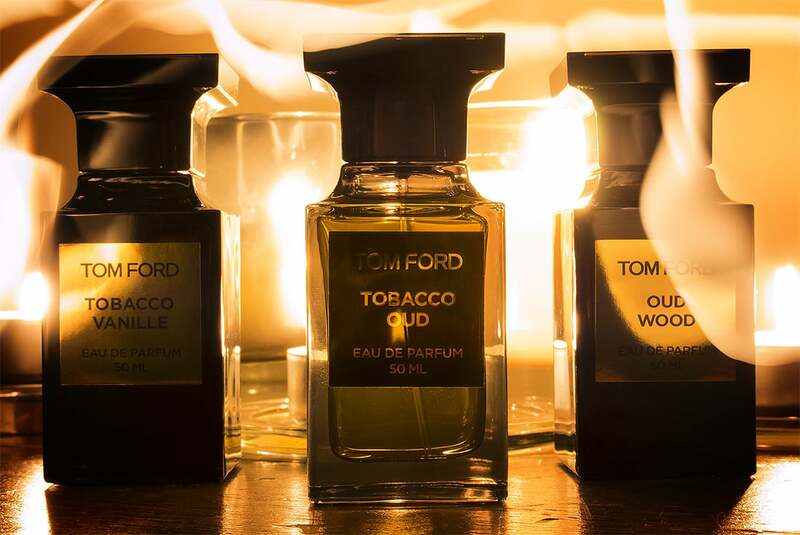 There’s also a resemblance to Tom Ford Oud Wood too, a fragrance with a more sharp and metallic Oud and feel to it; I’d say Tom Ford Tobacco Oud falls in-line straight down the middle of the this and Tobacco Vanille which in my opinion is the perfect place to be. The notes are Oud, tobacco, sandalwood, patchouli, spicy notes and whiskey with the Tobacco being the most prominent of the notes. It sits well on the skin and the tobacco is very sharp on first contact but everything blends and merges together after 5/10 minutes. Towards the end of the day your definitely left with more of the patchouli and sandalwood as this is a relatively light fragrance in the grand scheme of Tom Ford Private Blend but I’d say still a lot heavier than the majority of your commercial fragrances. On top of this, there’s a whole ancillary collection just been launched alongside Tobacco Oud in the Tom Ford Oud Wood line and I’ve been using and enjoying the gorgeous gel body moisturiser which sinks into the skin like a dream and gives a great fragrance base as well as the body cleansing soap bar which gives a gorgeous lather and again, is a key part of that all-important fragrance layering process which can either be perfectly topped off by Tobacco Oud or Oud Wood, both work extremely well. This article first appeared on MANFACE written by Thom Watson. It was published on Saturday 16th November 2013 and was last updated on Monday 3rd April 2017 at 3:25pm. It's categorised under Body, Cleanse, Fragrance, TOM FORD, Woody Fragrance where you'll find more related content. I’ve just treated myself to Black Orchid, I find that velvety/chocolatey. I have seen Tom Ford London somewhere. You have a body moisturiser for Tobacco Oud? I thought that came just for Oud Wood? The entire body line is for the Oud Wood fragrance surely?